Mark and Mayumi, who have been looking after me here, are the founders of 98B. 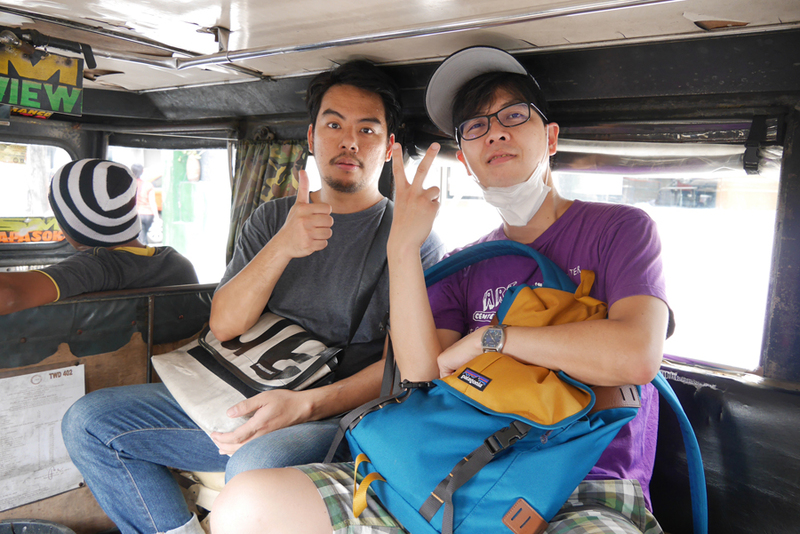 I’m going there by Jeepney, the common bus used by locals. I wear a mask not because I caught a cold but because of the terrible car fumes. 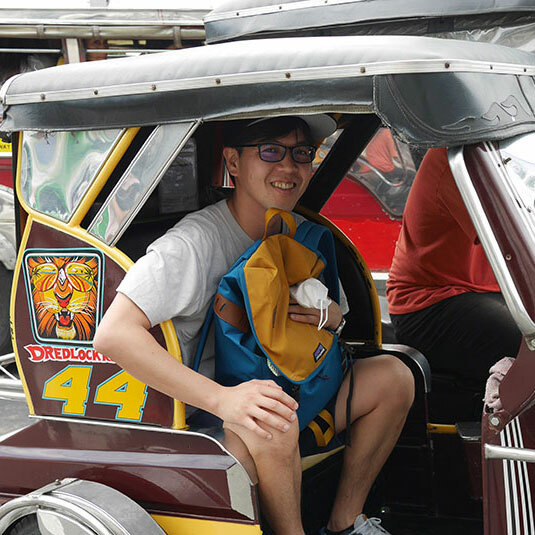 But I love riding the Jeepney! 98B was founded in January, 2012 by Mark Salvatus and Mayumi Hirano, and it was joined by their friends who are mostly artists namely Anjo Bolarda, Con Cabrera, Marika Constantino, Vermont Coronel, Don Dalmacio, Mik Laborde, Pau Reyes and Gabriel Villegas. 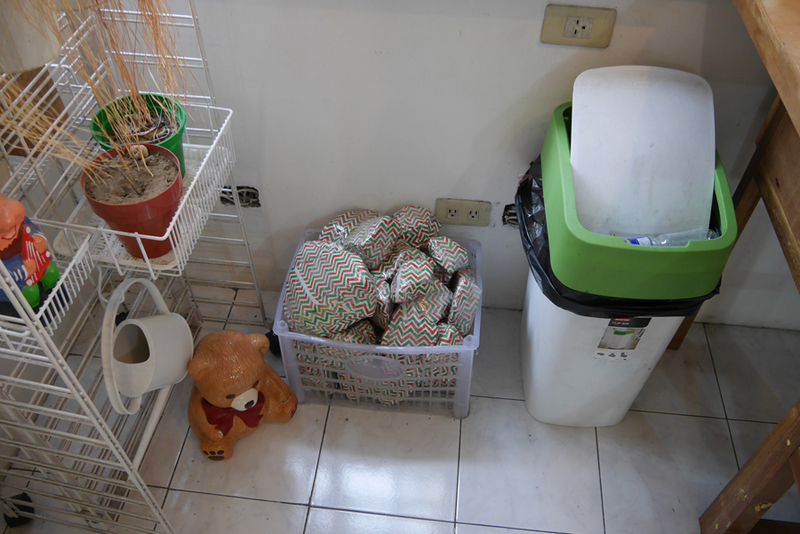 It all started at the house where Mark and Mayumi currently live in Cubao. In July, 2012, they moved their headquarters from Cubao to a historical building located along the old street of Escolta in Manila. 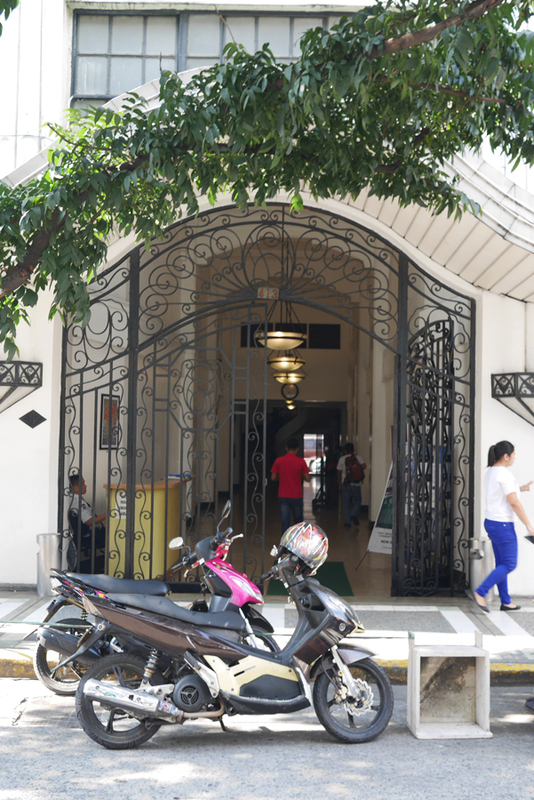 This is the entrance to the historical building located on Escolta Street. 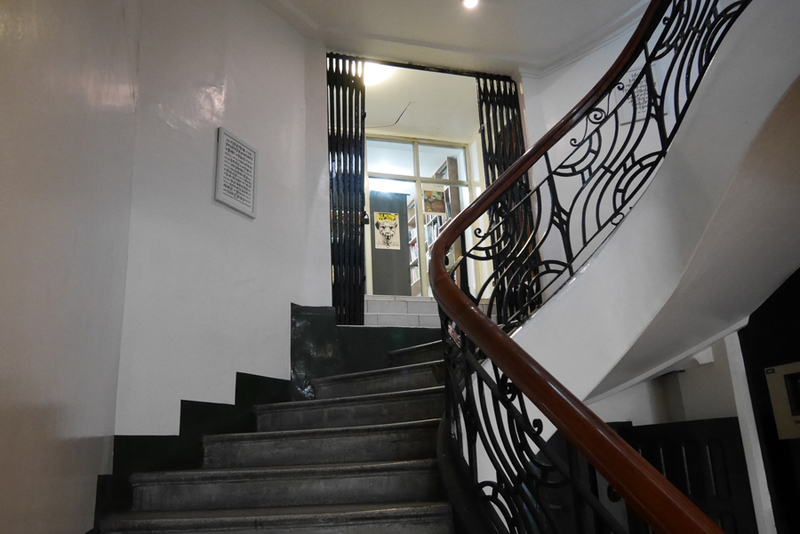 This is the stairway leading to the 98B headquarters. 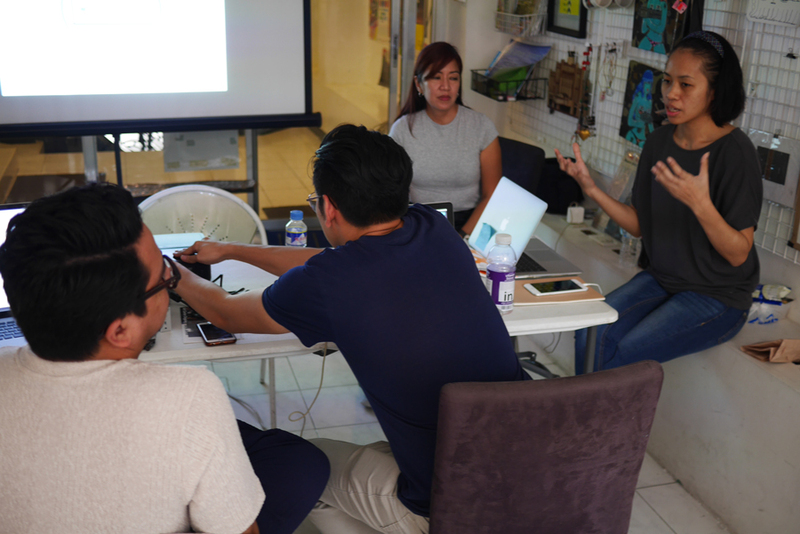 Being a platform for the art scene in the Philippines, 98B conducts a wide variety of activities such as: exhibitions, art projects, an artist in residence program, assisting foreign artists and art professionals visiting Manila, talk events, presentations and workshops. This is the inside view of 98B. There are many autographs left by artists who have visited the space. 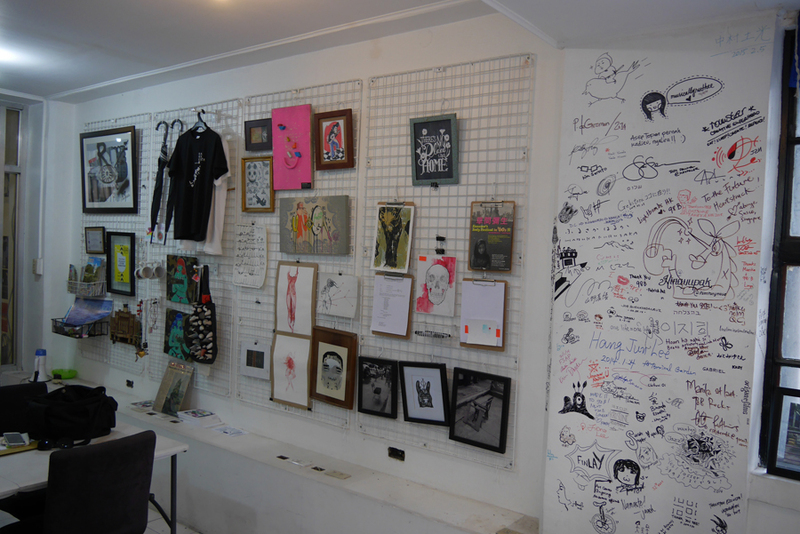 In the space, 98B also sells small art works and artist merchandise. Wow! I see the rocks in colorful paper wrappers, art works by Wada, the famous Japanese artist. Not surprisingly, none of these rocks has been sold since when they were delivered to the shop in 2014. 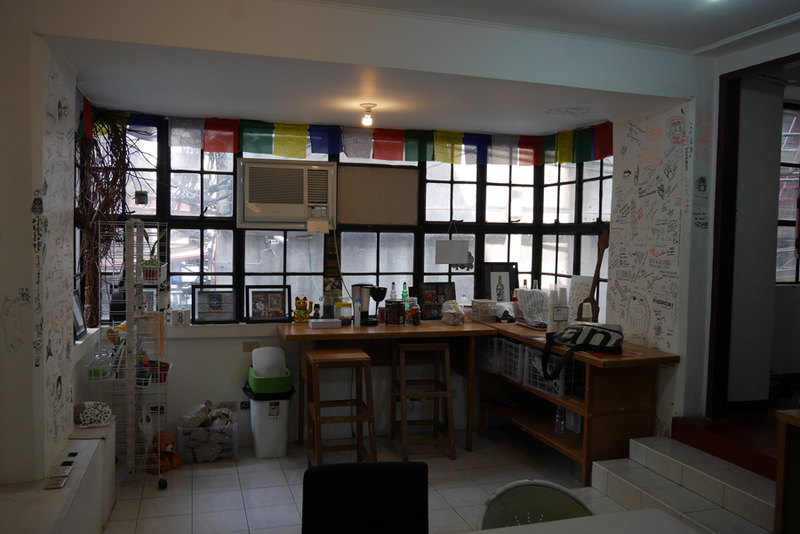 Although it has been only four years since the organization’s establishment, they are surprisingly prolific, so much so that within the art world there would hardly be anyone who has not heard of this most famous of Manila’s art organizations. 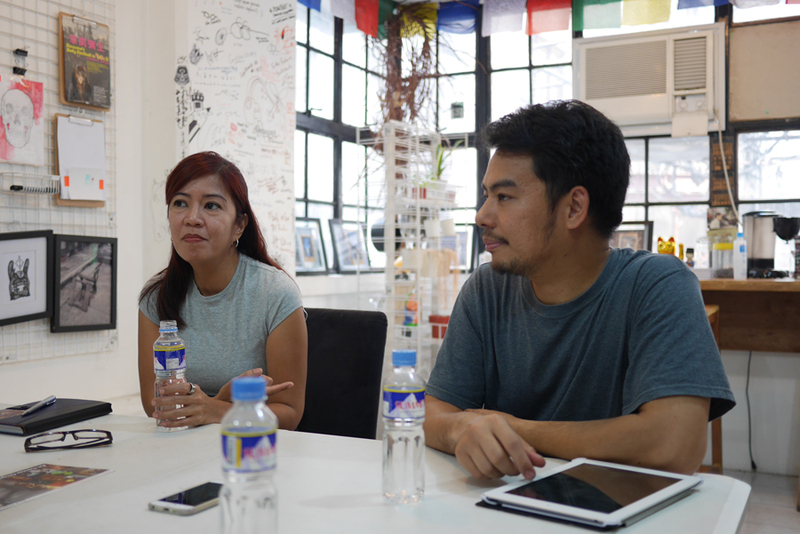 This time I speak with two of the central figures of the organization, Marika Constantino and Mark Salvatus. Marika （left） and Mark （right）. 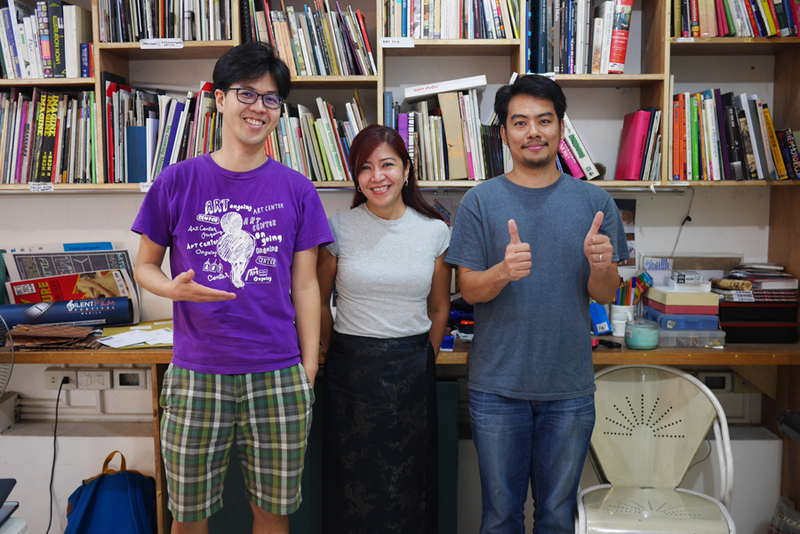 We, the members of Art Center Ongoing, have had a good relationship with them since 2014. The reason for establishing 98B was to challenge the Manila’s art scene, which had become very commercial, by creating a space for promoting diverse and alternative kinds of artworks. At first, they set up a platform for young artists to present their artworks to each other, and from there, exchanges and activities began to expand further. Both Mark and Marika had previously developed experience, knowledge and networks through their individual art practice and involvements in other organizations, which helped them in building up various activities of 98B. They described themselves as an “Organic organization”, in which people could express themselves freely, without being strictly governed by rules and regulations. I think that it is this kind of environment that has made 98B so famous. Currently 98B is joined by younger artists, and the organization consists of about 10 members, who organize exhibitions, host artists in residence, run a monthly flea market entitled “FUTURE MARKET” in the empty space on the first floor of the building, and other various projects simultaneously. Today, a curator from Malaysia visited the space for research and 98B hosted presentations by some young artists for her. 98B is an innovative and much needed organization. The best thing about it is that all members are so kind and have a great sense of humor. Moreover there is a good feeling of friendships. I believe that their rapid growth as an organization can be attributed not only to their individual talent and ability, but especially to the wonderful personality of each of the members. They are just great! This is how art should be! Don’t you think so? Lastly, I take a picture together with Marika and Mark. I hope that both of our organizations will continue to challenge the art world into the future!! Facility and Activity: Exhibition planning and coordination, Residence, Workshop, Talk, etc.